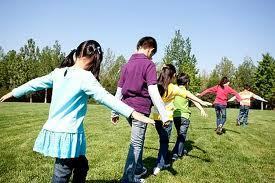 Tomorrow morning in our worship service I am going to play Follow the Leader with the children who are there. We will clap our hands and jump up and down and turn circles and pat our heads. And then, when I have them all wound up, I am going to ask them to sit down and talk with me about what we have done. A place where we gather to learn to play Follow the Leader? Where we come to be reminded of our bravest hopes and our best values that are wrapped up in that which we know and name as God? Values like compassion and kindness and the common good. Hopes like peace and justice and enough for all. And into the world doing our best to play the game. Where Have You Been the Church This Week? On most Sunday mornings, when I was growing up, my family went to church. My understanding, and I think the understanding of most people who, like us, also went to church on Sundays was that going to church meant more than going to a physical location. Church, as we understood it, was that that hour or so on Sunday morning we spent together in a place much like this. And, when that hour was over and the creeds had been said and the hymns had been sung and the coffee had been served and the kitchen cleaned up and the last person left and the doors were locked, church was over for another week. Maybe that worked for most of us 50 years ago, but the way we thought about and understood church was flawed. I am pretty sure that understanding of what it meant or means to be a follower of Jesus is not what Jesus had in mind. That, if you put in your hour on Sunday you were good, and had fulfilled your commitment. I think our being here together is important. Reminds us and reconnects us to values – gratitude, compassion, hospitality – and to a way of thinking and being that sometimes gets lost in push and pull of everyday life. And, reconnects us to a larger community where we do our best to care for one another. And, moves us beyond the pronouns me and mine to consider the needs and insights and place of us and ours. And, provides a place to slow down for a moment, and to take a deep breath. And, creates a place where we come close to God and God can come close to us. We need to be together. When one of us is not here. Cannot be limited to one hour on a Sunday morning or confined to a space and place like this. We are called to something more. Long for and I believe need something more. They need us to be the Church out there beyond these doors. Being that light and hope and compassion and peace that we know in Jesus and find in that which we know and name as God. Our community gathers here on Sunday morning (and at other times as well!). But, we are the Church out there. Just about any part of our worship service except our sharing of joys and concerns and our time of prayer together. When we can express our gratitude and voice our concerns, and do our best to wrap not only our prayers, but also our arms and sometimes our actions around each other’s lives both shapes and strengths who we are together. Where have you extended yourself for the sake of another? Where have you cared for another? Where have you faced down injustice or intolerance in any of its ugly forms? Where have you practiced kindness? Where have you added to hope? Where have you taken a moment to recognize the Holy in the person or the moment before you? What if we shared something of that with each other each week, would it help us remember who we are and who we are called to be and what we are called to do? Maybe that is what is needed for us to be the Church today. To continue to inch our way towards that grand dream of God’s Kingdom come for us and for all. Maybe I use the wrong word. Because, for many people, the word church carries a negative connotation. A group of people who, with some intentionality, put themselves in a position to reminded regularly of values like compassion and kindness and justice and generosity. It is the communities of which I am apart that serve as that reminder of the values that not only shape me as an individual, but which provide the framework that holds the larger community together. Values like kindness and responsibility and respect and compassion. The very values that, at their best, our religious communities seek to nurture day-in and day-out. Is it just coincidence that as participation in organized religion declines that we also are experiencing the social fabric around us fraying? For people turning away from organized religion and I understand that. But, with that, I think we have lost something of value. Something that helps us sustain the communities in which we live and hold onto that which we say that we value. For some time now I have watched a colleagues rolled their eyes when someone told them they were “spiritual, but not religious.” Maybe I have even done it myself a few times. But lately I have begun to understand what, at least, some of those who describe themselves in that way mean when they say it. Good. Kind. Treating others with respect. Concerned about their community and country and world. Doing what they can to make the world…at least the world around them…a better place. Working hard at being good partners and good parents. Trying to keep their lives in balance with their values. Not just saying “Thank you,” but being thankful. Still being caught off guard by beauty. Regularly praying, but in their own way. Not “attending church” at least on any kind of regular basis because style, music, message, hymns using 200 year old images, and out-dated prayers just don’t resonate with life as they experience it. And, maybe there is even more distance than that. Disgust at the ongoing instances of sexual misconduct. Turned off by narrow-minded thinking and an “I’m in/you’re out.” attitude. The list could go on. Maybe I am becoming more of a SBNR type myself. And create opportunities for conversations with other SBNR folks and see where it might lead.